Here’s a miscellaneous montage of some of China’s people who I captured with my camera. People are people the world over. We left the Shangri-La Hotel at 7:30 am bound for Chongqing airport. We expected to be overtaken by the Australian Prime Minister who was also staying at the Shangri-La (can you believe it! ), and run into a traffic nightmare. Police were already lining the streets and highways at all intersections. But thankfully we managed to stay ahead of her. We boarded our China Air flight without problems at 9:30. On the plane we were joined by at least 60 other China Spree travelers who were on several different (non-luxury) CS tours. We had a bit of a problem on landing, an hour later, with retrieving our luggage. We took a wrong turn and ended up at the wrong baggage area. What a goat rope! A young lady baggage attendant told us to go outside security and proceed to “6”. Baggage area 6 ended up being in Terminal A (we had gone to Terminal B) and turned out to be a quarter mile walk away and outside the buildings, all the while toting our carry-ons. Since we had left the secure area, it required several of us to re-enter through security to secure our luggage. We were having a bit of an issue explaining this to the security guards, but fortunately our guide, Merry, showed up and we got through. 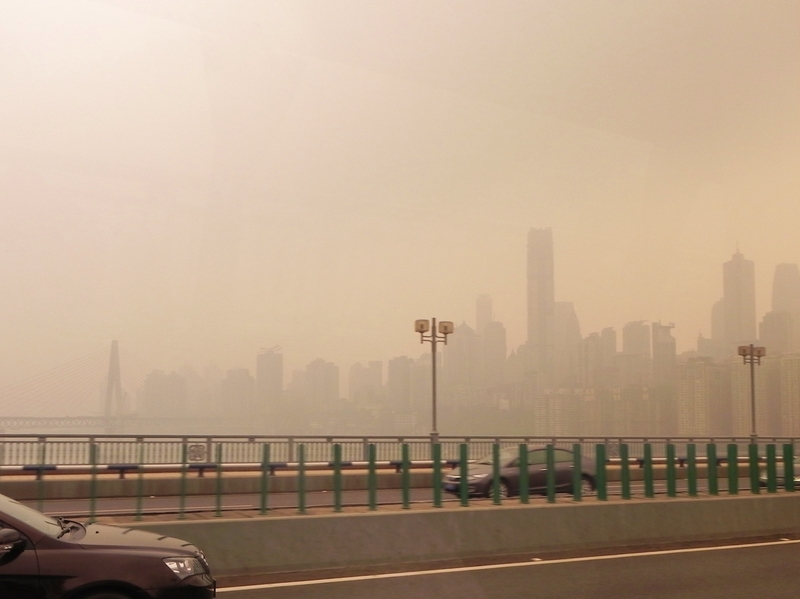 We hoped aboard an almost identical beige van to the ones we had in Xian and Guilin and off we went into town.